After experiencing both the ups and downs in the smartphone market, Research In Motion (RIM) is now trying to make its way in the tablet industry as well. The new Blackberry PlayBook tablet is the companyâ€™s first effort in this regard. Released in April 2011, this tablet is working really hard to make some productive revenue for its developers, if nothing else. Weâ€™ll now take a look at the goods and bads of this device in detail. So jump in! The tablet features 1 GHz dual core processor and 1 GB of Random-Access Memory (RAM). It has a distinctive 7-inch LCD screen with WSVGA 1024 x 600 pixel resolution,and acapacitive panel with multi-touch capabilities. The compact screenmakes this tabletreally handy by reducing its total weight to 0.9 lbs, which is much lighter as compared to the iPad. PlayBook is backed by the new Blackberry Tablet OS with QNX technology, an operating system that also supports symmetric multiprocessing. The device also flaunts twin 1080p HD cameras ideal for making high-quality videos and video conferencing. The rear camera is 5 mega-pixels and the front-facing camera is 3 mega-pixels, definitely better than the low-quality iPad cameras in every way.Not just that, this Blackberry Tablet also have 1080p HDMI output; GPS; accelerometer; stereo speakers and microphones; digital compass; micro USB port; and 6-axis motion sensor (gyroscope). In terms of connectivity, the device can be connected through Bluetooth (2.1+ EDR) or Wi-Fi (802.11 a/b/g/n).Later, it will be updated to support WiMax, LTE, and HSPA+ as well, probably by the end of this year. The Blackberry PlayBook release took place on April 19, 2011 with Best Buy being its preferred retailer in the USA. The device is available in three models, differentiating each other on the basis of external storage and also prices. Therefore, the 16 GB PlayBook is priced at $499, 32 GB at $599, and the 64 GB version is available at $699 in North America. Even after having such amazing features and smart technology, the Blackberry PlayBook couldnâ€™t manage to attract users like the iPad. Why? There are a number of reasons for that. Letâ€™s find out! 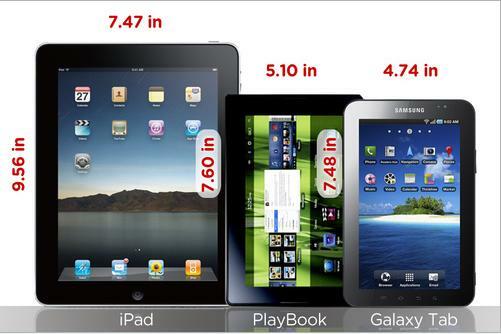 First, the PlayBookapps are pretty limited, especially when we compare them with Apple or Android applications. This majordrawback automatically reduces its usability and makes the device less enjoyable. Thereâ€™s no doubt that applications play a great role in maintaining the reputation of devices. Thatâ€™s why the continuously growing app stores of Apple and Android do not let their devices fade out from the market so easily. Secondly, the Blackberry PlayBook price is pretty much similar to the iPad 2, which makes it a lot easier for buyers to make their choice between the two. Of course, no sane person would want to spend their money on an unstable new device, when a highly rated device is available at the same price. And lastly, the false promise! The Blackberry tablet claims to give a battery life of up to 10 hours, but it actually gives much lesser time when compared with other tablets.According to a test done by Engadget, the PlayBook displayed an average battery life of 7:01 hours, which was fairly less than the iPads, Motorola Xoom and even Archos 101. Overall, the Blackberry PlayBook is purty, smart and unique but it is also true that the industry is already dominated by a name-brand tablet. Therefore, the new tablet developers should consider all of the various aspects including features, competitors, prices, and of course timing before releasing their final products in the market.